"There are wizards and there are mages". But there's also a lost group of wizards that provided the link between them; The Archwizards. 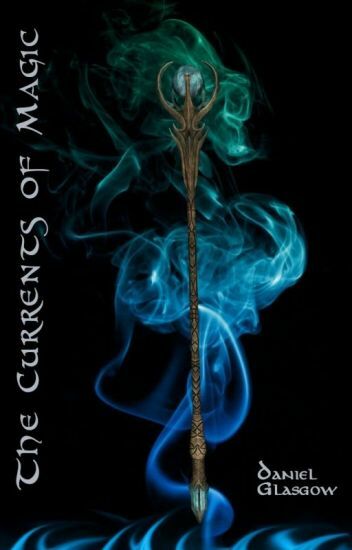 They have returned and this time will stop at nothing to subdue the world of magic. It's up to Troy and the defenders to stop the anarchy that is becoming more inevitable by the second and at the same time prevent the world of magic from becoming exposed to the normals. All hell's about to break loose, deeply buried secrets about to come to light, the forgotten past about to clash with the present and the end of it all will shape not only the future of the magic community but that of the entire world as we know it. Troy has to go up against the most powerful foe he has ever faced yet, himself. Will he triumph or will the archwizard prove to be too much to handle? Final Book in the 'Troy Sanders' trilogy. P. S.: Please remember to vote, comment and share with your friends. A young man's life is changed completely, when he finds out that, not only is he not human, but he is the heir of a magical land where his mere presence becomes a threat. First of a series. There are two worlds, the "real" one in which we live, and a magical one where the fantasies that populated our world's imagination come from. Leo is a young man from the real world who discovers he is a descendant of an extinct race of magical beings, the birdmen. Being one of the last known members of his kind, traditions and complications dictate that he is to inherit the throne of the birdmen kingdom in the magical world. But not all are happy with this news, on the day of his crowning a masked figure from the birdmen's bloody, war-torn past appears. "As long as you remain, your kingdom will never know peace" it says, "I will make sure of it." The epic coming of age story of one special boy, a 14 year old from a small village in the Kingdom of the Ring. The youngest of four, the least favorite of his father, hated by his brothers, Thorgrin senses he is different from the others. He dreams of becoming a great warrior, of joining the King’s men and protecting the Ring from the hordes of creatures on the other side of the Canyon. When he comes of age and is forbidden by his father to try out for the King’s Legion, he refuses to take no for an answer: he journeys out on his own. But King’s Court is rife with its own power struggles, ambitions, jealousy, violence and betrayal. King MacGil must choose an heir from amongst his children, and the ancient Dynasty Sword, the source of all their power, still sits untouched, waiting for the chosen one to arrive. Thorgrin arrives as an outsider and battles to be accepted, and to join the King’s Legion. Thorgrin comes to learn he has a special gift, and a special destiny. He falls in love with the king’s daughter, and as he struggles to make sense of his powers, the king’s sorcerer takes him under his wing and tells him of a mother he never knew, in a land far away, beyond the Canyon, beyond even the land of the Dragons. In a world where the magical and mundane rub shoulders, there's a certain class that vexes them both: Tricksters. Magical mercenaries. And Charles LaRue is the best of the best. Infamous for his high risk, high reward jobs, there's not a thing he wouldn't do for the right price. Davydd Miljorn is a hunter living in Gor, a small town in the kingdom of Angweleth. One day, while hunting for game, he unbeknownst to him, saves the princess of Angweleth when her carriage is attacked by mysterious assailants. This singular act, spawns a series of events which take both of them and the friends they meet, on a quest to retrieve an artifact that may just be the difference between humanity's destruction or it's salvation. This book will be taken down on the 1st March 2017 due to being published on Amazon and will only have the first part sampled here. Beyond Fear there is Courage. In a world ruled by The Elements and torn apart by darkness, a new evil has arisen, to take the throne of Kaimeara. Trapped within their prison, the once great Elders of Valista hang onto their last glimmer of hope, a hero prophecized to save them all. Dragged into their treacherous world, 16 year old Lizzie Somers finds herself on a terrifying journey across an unknown land in search of the legendary Winged Horses of Air and her only possible way of returning home. Helped throughout by an unlikely ally and hunted at every turn by a deadly enemy she must fight for survival. But as Lizzie's quest spirals out of control, can she find the strength inside to face her fears and defeat the evil or will she lose everything forever, including herself?